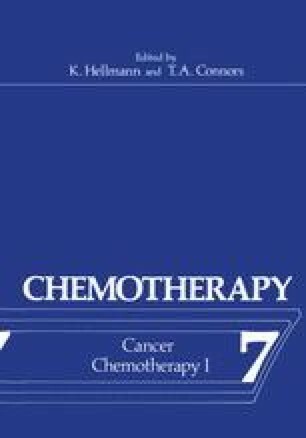 In 1974, more than 39,000 synthetic compounds and 8,000 crude natural product extracts were submitted to the National Cancer Institute for evaluation of their antitumour activity in laboratory models. For more than 75% of the synthetic materials, the amount received was 2.0 g. or less. Testing of a large number of new materials available in limited quantity requires the use of an initial biological screen which is rapid, reproducible, inexpensive and above all, predictive for clinical utility.